“No matter what the 14th Dalai Lama says or does, he cannot deny the Central Government’s right to recognise reincarnations,” says Norbu Döndrup ནོར་བུ་དོན་གྲུབ 罗布顿珠, one of the highest-ranking Tibetan officials in the Autonomous Region’s government. Zhu Weiqun 朱维群, former deputy head of the United Front Work Department who now chairs the ethnic and religious affairs committee of the People’s Political Consultative Conference, famously stated that Dalai Lama reincarnations “have never been a purely religious matter;” historical precedent makes the state’s prerogative to manage reincarnations “an important manifestation of the Central Government’s sovereignty over Tibet.” The state clearly cares about reincarnations, and not only when the Dalai Lama is involved. The PRC has now spent decades regulating, codifying and “standardising” the identification and training of increasing numbers of reincarnating lamas, who often are given positions in state administration. The respect they command among many Tibetans makes gaining the “initiative, leadership and control” over reincarnation management a tool for maintaining social stability in Tibetan areas. Extensive research has been devoted to the design of reincarnation policies. The TAR and central governments take reincarnate lamas on trips and training sessions around the country, including visits to Maoist sites. Interviewed during one such educational trip, the Jedrung རྗེ་དྲུང 吉仲 Rinpoche of Dzodzi མཛོ་རྫི 佐孜 monastery in Chamdo, himself installed as such a ‘living Buddha’ by the relevant local authorities in 2000, talks of his and other religious figures’ duty to “develop the good Tibetan Buddhist tradition of love of country and religion (爱国爱教),” contributing to the “mutual adaptation of religion and socialism.” The training seems to be working: the Rinpoche was repeating, verbatim, Party slogans that go back to the Jiang Zemin era. The PRC’s emphasis on the Urn system, and its criticism of the Dalai Lama’s unwillingness to reincarnate through it make rebirth policy an international issue. The lottery covered not only Tibetan but also Mongolian lineages. In a recent piece for CPI Analysis, I described the tensions surrounding the Dalai Lama’s visit to Mongolia last November and his announcement that the next incarnation of the Jebtsundamba Khutugtu, the country’s highest lama, had been identified. China protested the visit, but limited its demands on the reincarnation to “hoping” Mongolia would deal with it “autonomously,” i.e., without Dharamsala involvement in his enthronement and education. While refraining from imposing reincarnations abroad, such an approach stops short of relinquishing influence over Mongolian Buddhism. In fact, religious interactions with Mongolia illustrate the emergent use of ‘Sinified’ Tibetan Buddhism as a foreign policy tool. A set of policy recommendations on exchanges with Buddhism in Mongolia (and ethnic Mongolian areas of Russia) emerged in 2011 as a mysterious article published by a Hong Kong-based think-tank with known government links. I summarised those recommendations in my previous piece, but some bear repeating: fostering religious exchanges with Mongolian (and Russian) Buddhism, in particular by sending “virtuous and respected high monks;” the use of “social and economic methods,” based on “China’s advantageous trade position,” to restrict the influence of the “Dalai clique.” An example of this would be “monopolising” the religious artifact market through state-supported Chinese companies, perhaps modelled on the Gang gyan Development Company (བོད་གངས་རྒྱན་དར་སྤེལ་ཀུང་སི་ 西藏刚坚发展总公司) established by the 10th Panchen Lama. As the examples below will illustrate, state-mediated exchanges between Chinese monasteries and companies and selected Mongolian clergy are consistent with these recommendations, lending credibility to the further, still unimplemented advice to negotiate a transnational “system for the search, recognition and final announcement” of reincarnate lamas. Chinese policies towards Mongolian Buddhism focus on fostering exchanges with part of the Buddhist clergy, to some extent exploiting divisions within it to empower those opposed to the Dalai Lama. The exchanges described below, all mediated by Chinese state organs, involve Chinese monasteries and a producer of religious artefacts. The Amarbayasgalant Амарбаясгалант monastery in the north of the country enjoys particularly good relations with Chinese clergy and officials. Visits occur in both directions and have involved meetings with high-placed members of the China Buddhist Association (中国佛教协会), including the Panchen Lama, one of its vice-presidents. One such encounter left the Mongolian visitors with “a deep understanding of [China’s] policy of religious freedom.” The Amarbayasgalant is an important place of worship for the Dorje Shugden movement, whose dispute with the Dalai Lama often results in an alignment with PRC policies. The Yonghegong temple has decided to donate a 21-metre statue of boddhisattva Maitreya to another Ulaanbaatar monastery, the Dashchoilin Дашчойлин. Its abbot, Dambajav Дамбажав, is not against the Dalai Lama, whom he has repeatedly met, including during the last Mongolia trip, but a good reason for cultivating him could be his role as vice-president of the World Fellowship of Buddhists, an organisation where Beijing has been steadily trying to gain more influence. The Maitreya was ordered from Karma Bisha ཀརྨ་བི་ཤྭ 噶玛博秀, a famous Sichuan-based producer of religious statues owned by a Tibetan artist and entrepreneur. The project has been advancing slowly: a ceremony was held in 2014 for the delivery of the statue’s feet, but the foundations for the structure that will house only began to be built a month ago. Beijing’s approach to Mongolian Buddhism thus largely follows recent recommendations, although a whiff of Qing continuity lingers. 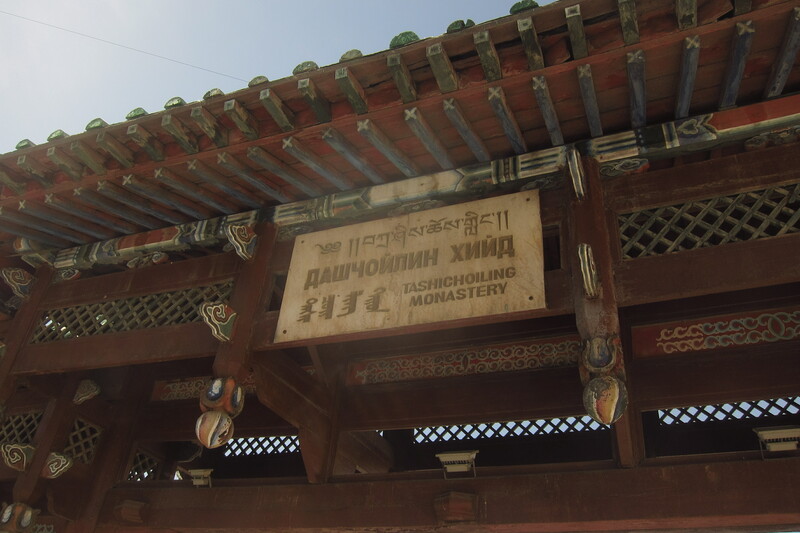 While renouncing the ‘Outer Mongolian’ part of the Golden Urn system, the government has given the Yonghegong a central, historically conscious role in interactions with Mongolian monasteries and even, through the Maitreya donation, in shaping the religious geography of Ulaanbaatar. Aid and exchanges empower Beijing’s preferred section of Mongolia’s clergy, while the credible threat of economic sanctions attempts to dissuade the rest from interacting with Dharamsala. Thus far, the approach can hardly be called successful: PRC links are controversial, and allegations of Chinese financing often put abbots such as the ones discussed above on the wrong end of nationalistic commentary; opposition to the Dalai Lama remains a minority view; despite the asymmetry of the relationship, the full range of PRC economic sanctions over his November visit was appeased with an ambiguous, non-apologetic statement that promised little beyond the status quo. Gifts and bullying haven’t restored the Qing’s sway over Mongolian Buddhism, or even the primary expected result, severed links with the exiled Tibetan religious hierarchy. 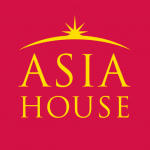 Although the credit for the idea of embedding Tibetan Buddhist ritual into statecraft goes to early Qing emperors, rather than Party-school dialecticians, the PRC has now caught up and, after letting it ‘mutually adapt’ with socialism, managed to Sinify the ‘opium of the people’ into a soft-power commodity. Strategies similar to those implemented in Mongolia, involving the sale or donation of religious artefacts, monuments and scripture, influence building within Buddhist organisations and alliances with anyone Dalai-unfriendly, are seen elsewhere in the Tibetan Buddhist world, often in clear competition with India. Tibetan Buddhist soft power will likely continue to evolve as a tool of Chinese policy towards Mongolia, Russia, the Himalayas, the Tibetan diaspora, Western Buddhists and international Buddhist organisations. Jichang Lulu is an independent researcher and writes frequently on China’s interests in the Arctic. Image Credit: ‘Dashchoilin monastery in Ulaanbaatar’ CC by Paweł Szczap. An extended version of this piece can be found on the author’s website.